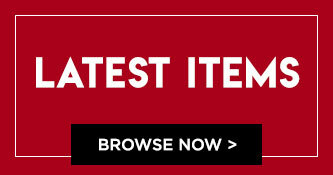 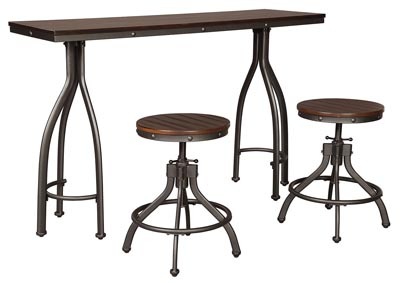 Take casual dining to new heights with the Odium counter height dining room table and bar stools. 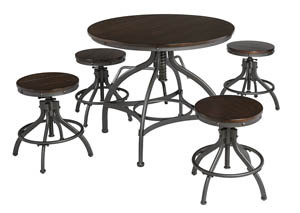 Discover how the dark bronze-tone powder coat metal finish and the planked looking top and swivel stools reflect rustic, industrial style. 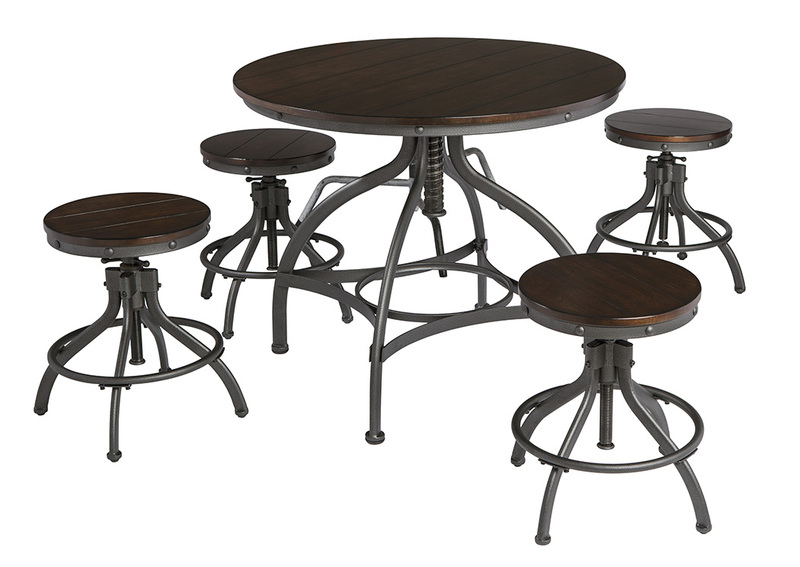 The table and stools are adjustable, an added bonus for accommodating everyone on game night.